Mold problem in Easton hospital reportedly caused patients' evacuation. My Cleaning Products suggested a mold spray to help the public kill mold quick and safe and avoid the same incident. ...it[Molderizer] is the best as it gets rid of mold quick without the need to scrub for hours...it is also safe as it is made with organic ingredients. A hospital in Easton in Maryland was found to have a mold problem. As a result, patients were moved out from the facility, said a report from myeasternshoremd.com dated May 05, 2014. Meanwhile, in an effort to help the public avoid the same problem, My Cleaning Products introduced an organic-based spray to kill mold fast and safe. As specified in the report, the University of Maryland Shore Medical Center was particularly the facility the mold affected. It detailed that it was closed down on April 30 and its patients were temporarily transferred to either Requard Center for Acute Rehabilitation or UM Shore Medical centers in Dorchester and Chestertown. The mold problem was discovered during an investigation of a leak within the walls, relayed the article. Nonetheless, it stated that the extent of the problem was yet to be determined. Below is an excerpt from the post Mold Discovered in Easton Hospital by My Cleaning Products. “Patients at University of Maryland Shore Medical Center at Easton were moved out last April 30. The reason – mold was found in the building." Mold triggers asthma attack and allergies, said My Cleaning Products. It stated that its toxic varieties bring in even worse health threats, it stated. For that reason, MCP stressed that it is important to take preventive steps. 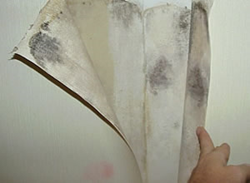 But because mold spores could still grow despite those precautions, it stated that everyone must stay alert of mold signs. It also advised everybody to have a mold removal spray ready so an immediate treatment could be implemented. Nonetheless, out of the many mold sprays today, it only recommended the use of Molderizer. It asserted that it is the best as it gets rid of mold quick without the need to scrub for hours. Moreover, it said that it is also safe as it is made with organic ingredients. Hence, whenever it is sprayed, it cited that there is no need to evacuate. In addition, MCP also advised the use of Safe Shield. It stated that this product, when used after the mold removal with Molderizer, prevents the return of the problem. It elaborated that it particularly provides an encapsulation to the surface that blocks the spores from growing on the spot again. To try the mold remover and see its difference from the others, the company invites everyone to its website at mycleaningproducts.com and get the. Molderizer Complimentary Sample.